Hello and HAPPY SUMMER friends! I do want to apologize for being so quiet over here the last few months. We’re definitely enjoying our Summer and getting caught up on some sun and fun. Look for some fun travel post and great food and crafts coming over the next few weeks as I get back to the computer and sharing all the HAPPY. 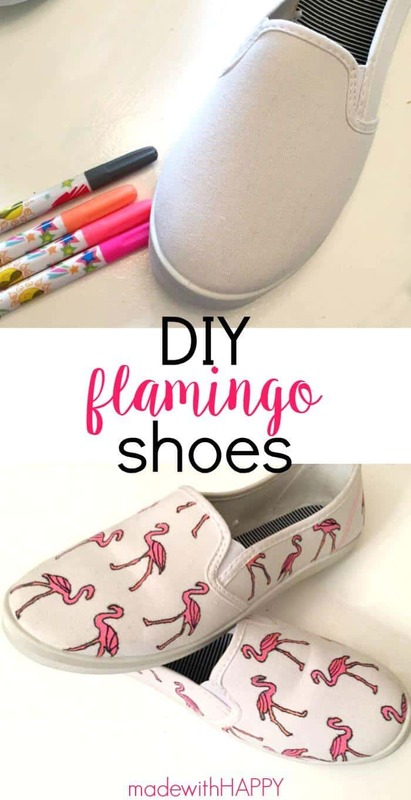 Until then, I have these fun DIY Flamingo Shoes that I absolutely adore and are the ultimate summer shoe! 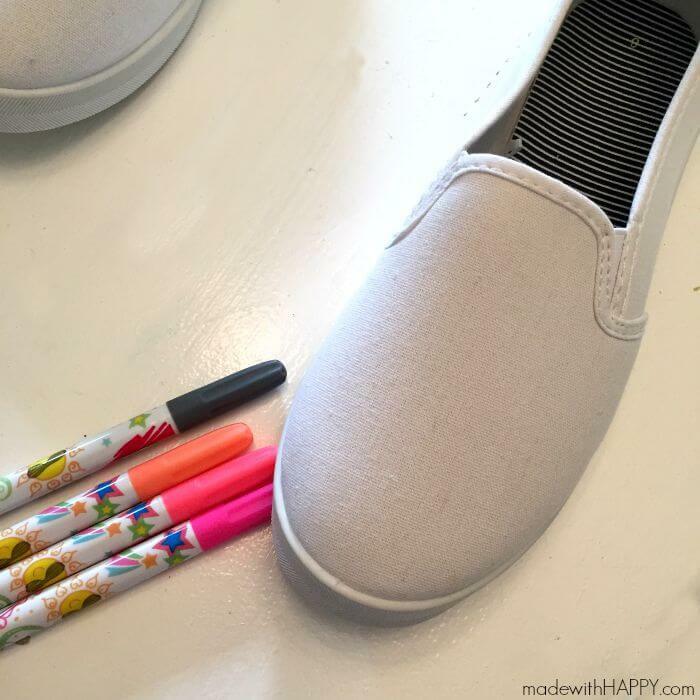 We found some great inexpensive white canvas shoes at Walmart for $5 or $6. You will also need some fabric markers. 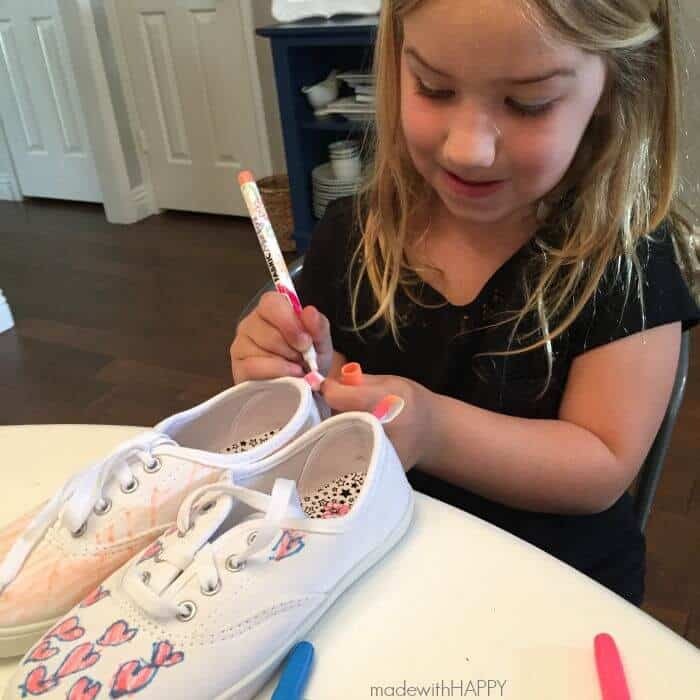 My sweet girl decided she wanted to decorate her shoes on her own, and so I let her go wild. So much fun and are a great conversation piece when wearing them around town. 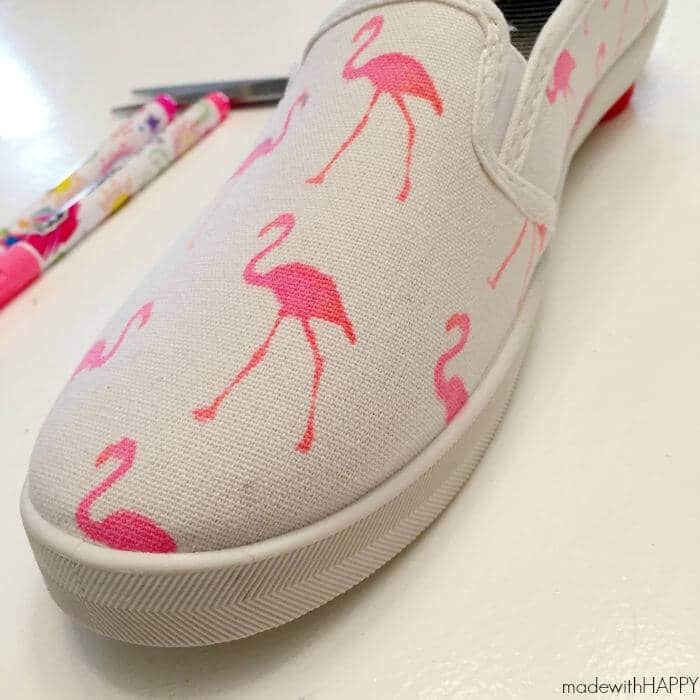 For my flamingos shoes, I used a small 1 inch stencil. Colored them in using some neon pinks and corals. To be honest, I loved them just with the pink. 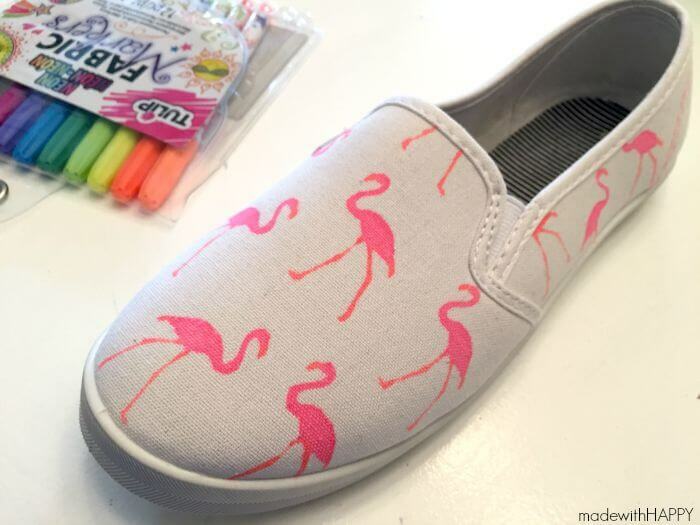 But then I thought about outlining the flamingos with a extra fine tip black sharpie and then viola. It seems simple enough that I might be able to do it. Are they washable with the Sharpe? Trust me even with permanent sharpies they won’t hold the color each time you wash them less and less. 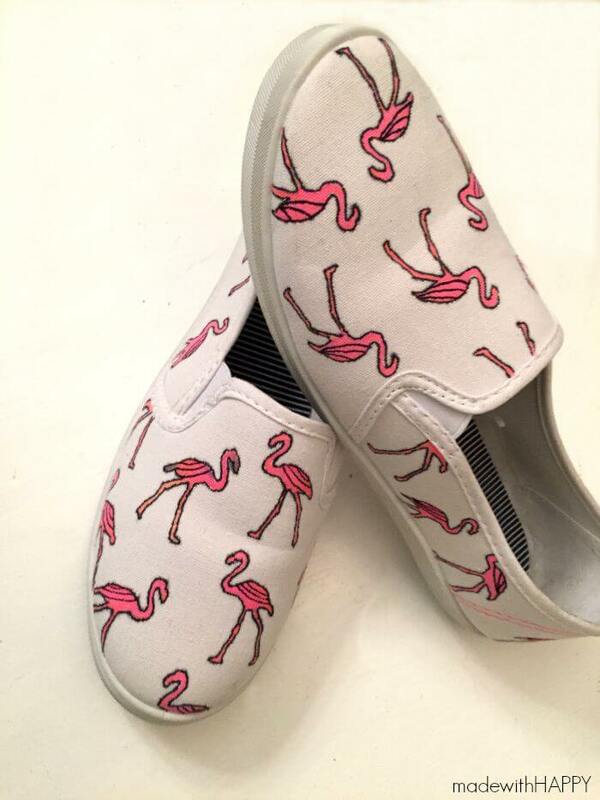 Where did you find the Flamingo stencil!!! I must make these!! 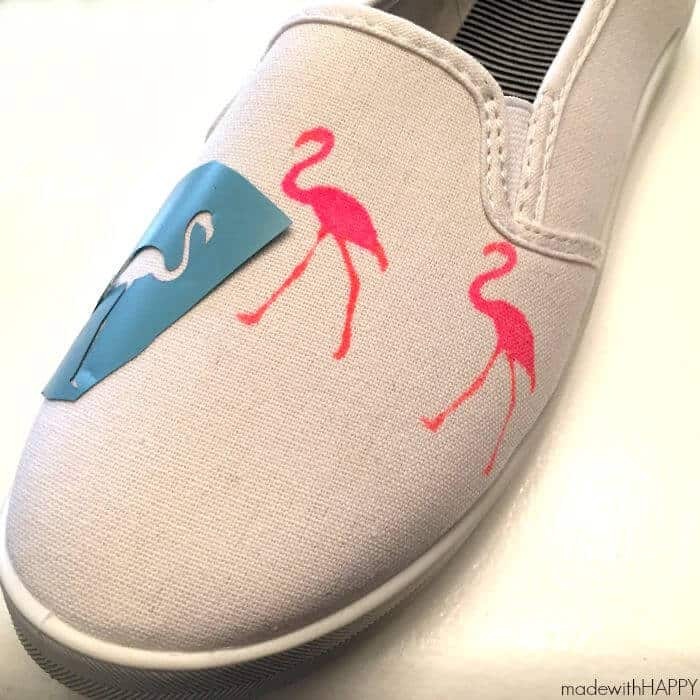 I made the flamingo stencil out of vinyl. Do you have a cutting machine? I can send over the cut file.